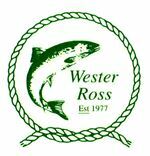 If you are looking for a job in Wester Ross you have come to the right place. Our mission at HIJOBS is to show you career opportunities across the wide range of industries, services, trades and profession in the job market today. If you do not find what you are looking for, you can register and stay up-to-date as we continually update the page with new listings that arise in this area. Whether you are exploring a career change or hoping to make progress along your current path, we are here to help you find a role to suit your needs and goals. Below you will find the current vacancies in Wester Ross; use the filters to focus your search on the type of role you are looking for. After you are done, use our guides to make your application process less daunting. Take a look at the HIJOBS application advice pages for some tips on how to get started. We hope you find the perfect job for you in Wester Ross. 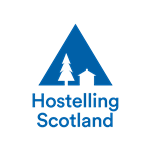 Read more about living and working in Wester Ross. Roughly speaking Wester Ross is the land between Loch Carron at the south, Loch Broom and Ullapool to the north and eastwards towards Achnasheen. You cannot really be accurate about the boundaries of Wester Ross; it is best to call it an area rather than point to any line drawn on a map because government boundaries have shifted so much over the years. What you can say with all accuracy is that you are heading into some of the most breathtaking and unique countryside in the Highlands. Many places would lay claim to some of that hyperbole but nature and an awful lot of rock conspired to make Wester Ross the kind of place that drives mountaineers and geologists alike to want to bite their axes and hammers with delight. Throw in dramatic bits of coastline, beaches, lochs and ancient Caledonian pine forest and small, scattered villages and you can see why tourism is a major employer. Gairloch and Ullapool High Schools take pupils from the many small primary schools along with some pupils going to Plockton in the south, which is also a school of national excellence for traditional music. Inverness on the other side of the country is the nearest major city; there is no rail link, with Ullapool being the major town for the area. Away from the main A roads a lot of the routes are single track with passing places. The road to Applecross, Bealach na Bà – pass of the cattle, is famous for being more like an Alpine pass, with its tightly packed hair-pin bends and recommendation that it is not suitable to caravans or drivers of a nervous disposition; it also has the greatest ascent of any road in Britain, from sea-level to 2,054 ft. So you turn these things to your advantage – the Bealach, as it is known to all, hosts cyclosportive events; Ullapool has built itself a reputation amongst the world’s ‘boutique’ music festivals; LOOPALLU in September; a guitar festival complete with trade show in October and a book festival as well in May. Ullapool’s sheltered harbour is the port for the passenger and freight services to the Western Isles via Stornoway and it also means it is a perfect destination for smaller cruise liners. Who wouldn’t want to live in a friendly, bustling town where UTC means Ullapool Town Clock, not a global way to measure time and the FBI is the Ferry Boat Inn?